There is more to the cost calculation than just tuition. Even the most prepared of high school students and their parents can be surprised at the cost of applying to college. While they may have conducted a substantial amount of research to learn about the cost of attending college and the basics of college financial aid, few truly understand how much money is invested before the student even begins the application process. There is a myriad of small amounts and fees which can quickly add up and put a dent in any household budget. Here are the costs to factor into your budget. If a student is thinking about attending a college outside of his or her hometown, there may be several trips required before the school year even begins. It is advisable for a student to visit a potential college campus, and he or she may be called in for an in-person interview. One potential bonus is that some schools will waive the application fee in consideration of an in-person visit. Once accepted, there may be some type of freshman orientation weekend, which adds even more costs. Then you also have to take into consideration the cost of student travel several times a year, as well as possible travel for parents’ weekends. These can all add up and might be somewhat of a surprise if not counted into the original cost calculation. Most colleges require that prospective students take either the SAT or ACT as a way of demonstrating their academic capabilities. These tests have costs involved in taking them, as well as possible prep classes or study manuals that help get the student ready for the exam. Students with financial need may be able to qualify for a waiver of test fees. There might be a cost involved in sending transcripts, especially if a student is applying to many colleges or is transferring from one college to another. Most colleges have fees for submitting an application. These usually run between $35 and $50 per college, but some of the highest applications fees can run almost to $100 for schools like Stanford, Duke, and Columbia. Costs may be even higher for out-of-state students, or some schools may charge extra for processing paper applications in place of online forms. Students who think they are trying to tip the acceptance scales in their favor by applying to a large number of colleges often run up hundreds of dollars in fees. This can be avoided through a more discriminatory selection process or by purposely searching for colleges that charge nothing to a small amount to apply. There are some colleges which do not charge an application fee including the U.S. military academies, St. John’s College, Bryn Mawr College and Case Western Reserve University. 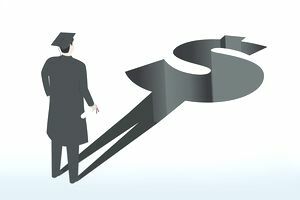 Although some colleges may offer a fee waiver, especially for prospective students with demonstrated financial need, this cannot be counted on for the majority of applicants. Other fee waivers might be possible for students with a relative who attended the institution. In certain cases, it may actually be worthwhile to ask a school to waive an application fee if you are a highly recruited student. Those with the best grades or specific athletic capabilities might be able to qualify for a no-charge application. ﻿There are times when it’s worthwhile to pay for assistance in the college process, and times when it is a scam. You can retain the services of an advisor to help you understand the process, but this should not increase your application fees. Be aware of what colleges are charging, so you know what to expect. A college financial aid advisor can explain financial aid options for a fee, but you should never be charged to file a FAFSA. You should not have to pay for online scholarship searches as there are plenty of free services available. Parents and students should develop a budget for the college application process and agree to it before filling out any applications, so there are no financial surprises along the “getting into college” highway.